When your DR Field and Brush Mower is in top condition, putting it to good use can be a pleasure. Just like your automobile, your brush mower will benefit from regular tune-ups; at least once a year. 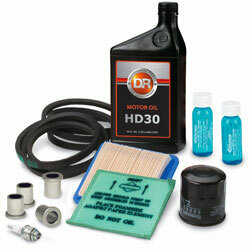 Our Maintenance Kit includes the most important items you'll need for your DR Field and Brush Mower in one convenient package.